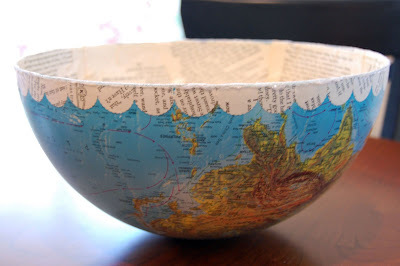 I was inspired at a garage sale to do this project -- a vintage globe made into a decorative bowl! 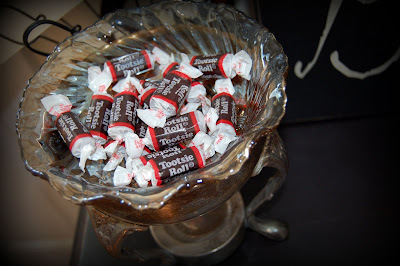 Great for holding fall candy :), or other pretty objects!! Wouldn't this be great piled with pinecones found on a nature walk? Or holding school supplies or items in a "prize box" for homeschool rooms? Or lined with wax or parchment paper to hold chips or popcorn? So many ways you could use this! It was so easy, and really fun to do! 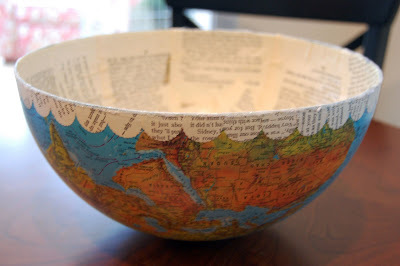 I took the globe apart and decoupaged old book pages inside and for the little edging too. Add a little glitter, and voila!! 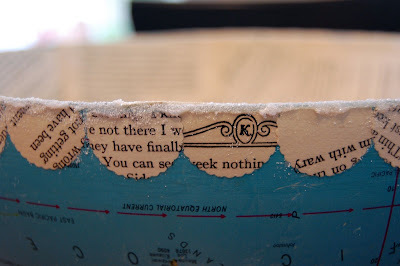 I had seen a similar project in an old Country Home, and when I was checking on the web saw how cool justsomethingimadehttp://justsomethingimade.blogspot.com made it look so I followed her idea for the book pages and glitter. Really "ups" the cool factor for this project! I ended up sending this out as part of a fall junk swap that I was doing (REALLY hope my partner isn't reading this :) but I'm definitely going to end up making another one for myself! What would YOU use this bowl for?! My "Type" of Saturday Morning! A fabulous old typewriter! Look at the cool keys...I see trying to make some jewelry from this bad boy!! Of course my girls had fun petting every dog we passed, getting lots of goodies at the lemonade stands, and seeing their little cousin and Auntie & Uncle (who live 2 blocks away!). Hubby & I enjoyed visiting with our neighbors and getting some great sunshine! I also found a couple other little things, but this was the best fun find of the day! Here's hoping you have a great Saturday as well! There's a saying "If Mama ain't happy, ain't nobody happy!" and I've been thinking on it a bit lately. I think when people usually hear this they laugh and think that mama better get what she's wanting so that everyone else doesn't suffer the consequences! However, I think a better way to think of this saying would be "Mama (the woman) sets the tone for the home". Have you ever noticed how your attitude can quickly shift the attitude of your family--in either direction? Though I love my "job", I'm the first to admit I'm not always a happy mom & wife. I get frustrated and angry. I feel upset at times. All of us do. But when I don't properly demonstrate my frustration (by raising my voice, sighing heavily, etc) my family's attitudes start to get as icky as mine. It's like a virus that spreads through the house! My husband gets defensive, my kids get whiny and act up, and my mood goes from bad to worse. Yuck!! This is NO way to Create a Welcoming Home for the family! However, when Mama can take a breath, say a silent (or sometimes out loud!) prayer, and choose to set a positive tone, it's amazing the difference! The household is calmer and children respond better to you. By no means does this mean that everything is perfect, but it does flow more smoothly! And it creates an environment for the family that's much more Welcoming!! 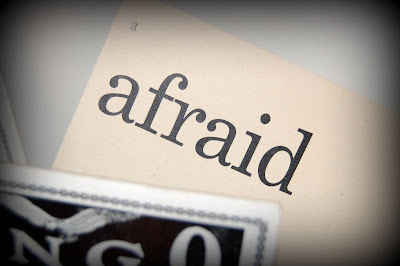 Funny true story: When my oldest was about 2 1/2 or 3 she was being really whiny and tantrumy one day, and out of desperation/frustration I cried out, "Lord, give me strength!". Next thing I know she's bending down and peeking under the table, scurrying to look behind a chair and under the couch. "L..., what are you doing? ", I ask. She answered as only a small child could, "Lookin for de strength!" I laughed till I almost peed! How could I not be positive after that?! 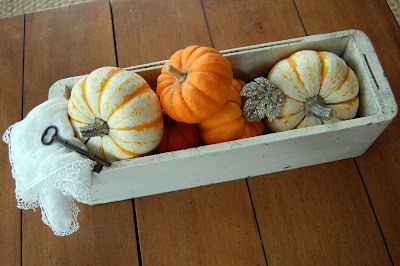 I wanted to show you my entry table all ready for fall! Isn't it "Spooktacular"? Remember this post, when you were wondering where all the stuff on my floor was going? Well, here it is! 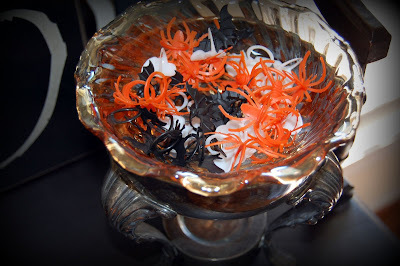 I love all the black & white & orange I've been seeing this year, and wanted to do a fun entry table for all the little trick-or-treaters! 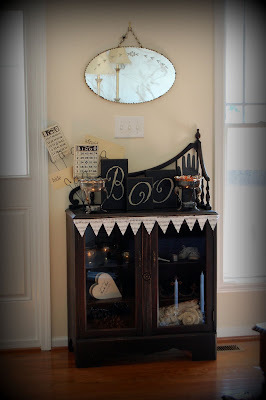 I added the music sheet pointed trim, and played with different items to come up with this. 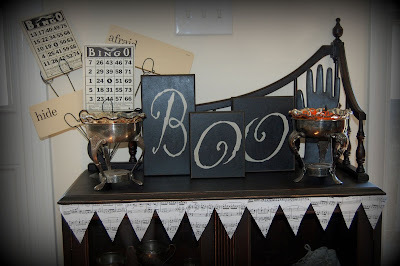 The "BOO" letters I got at a local store, but most other things are vintage items I'm using in a fun new way!! 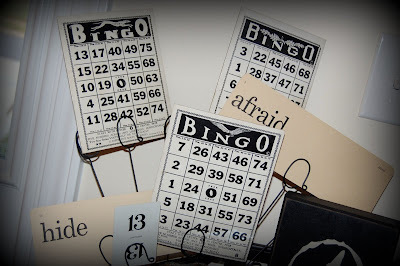 I just love the old Bingo cards and vintage word flashcards :). 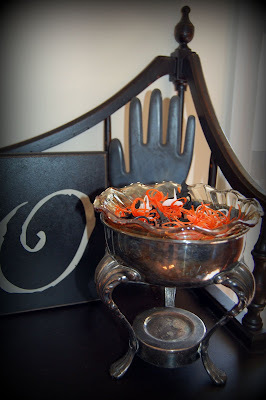 The black hand is an old glove mold! 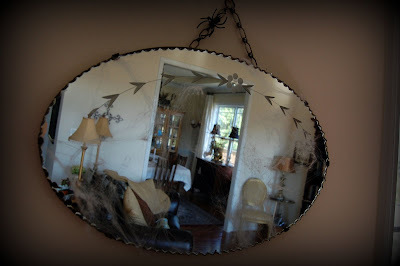 I added a thin layer of "spider webbing" to the mirror, and put a black spider on the chain for a spooky surprise! Aren't these letters cute? 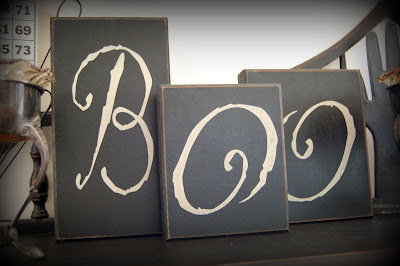 I got them at a local shop, but you could easily make them with scrap wood blocks and transfer letters or paint on the letters! I tweaked it a little and added another Bingo card and 13 playing card to this! 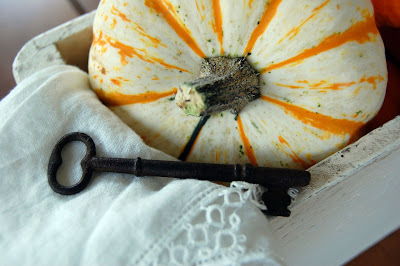 Melissa over at The Inspired Room is having a fall linky party going on, so I thought I'd join in! fall feels like a fresh start, full of wondrous things to come! Well, there's just a few of the wonderful things about Autumn! It's time to announce the winner of the "Junk Beautiful" book GIVEAWAY!!! My 2 helpers drew the name from 84 entries! I'll be e-mailing you for your mailing address. I was so excited to have this many entries for the giveaway, and to have quite a number of you take my cool new blinkie button, too! If you think your home is a "Blessed Nest", and you'd like to have this blinkie on your blog, then feel free to copy the HTML code onto your blog's sidebar! I'll be doing more giveaways in the future, and hope that you'll keep coming to visit me here at The Blessed Nest :). 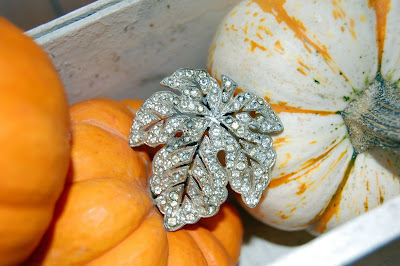 New Blog Look & A Giveaway! Hey there, everyone! It's still me, the blog just has a FUN new scrappy look thanks to the wonderful Fairy Blogmother Darcy of Graphically Designing! She was SO amazingly wonderful to work with, and if you need any bloggy help, she's the gal to see! 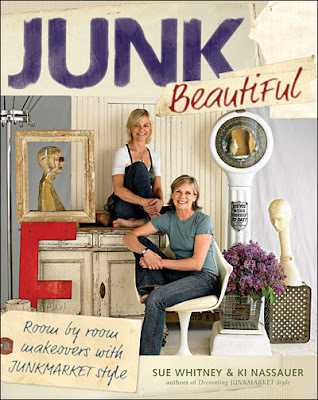 You can WIN your very own copy of "JUNK BEAUTIFUL: Room by Room Makeovers with Junkmarket Style"!!! 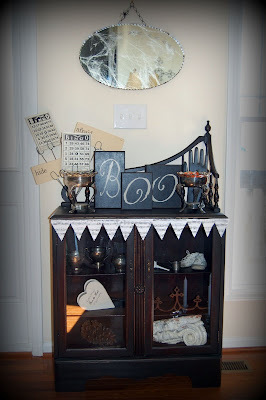 Such a fun book for decorating and project ideas using junk: stuff nobody has interest in that you could find at flea markets, thrift stores, curbside castoffs, grandma's attic, etc and could become treasure to you! and be entered once into the drawing. For a 2nd Entry, grab the HTML code for my new bloggy BUTTON (in the right sidebar) and put it on your blog, letting me know in your comment that you've done so, and I'll put your name in for another entry in the giveaway!! "My home is a....Blessed Nest!" You have until when I wake up on Sun. Morning to enter to WIN this very cool book!! I realize that this is my 2nd post for today, but read through to the end, & you'll find out why! our last day of the trip. Our first stop is the amazing Cottage House! What a welcome! The Cottage House opened early just for the Red Shed Girls! They had scones and drinks for us, and even though it was a little rainy, we all managed to find some GREAT things! Fun Finds were both inside and out. This place was incredible, just packed with amazing treasures! Even more out back, and a little shed full of things too! Next we went to the famous Hunt & Gather! This place was so cool, they had 2 huge floors full of great stuff! Hunt & Gather also had goodies for us to nibble, and had really great displays! Check out this one holding necklaces...love the word flashcards! I bought several! Aren't these stools and old restaurant dishware great?! We ate lunch at the greatest little place called Firefly! The owners were SO nice, and they had great food, ice cream & coffee. I recommend going here for coffee or lunch!!! Our last shopping stop was Guilded Salvage Antiques--a HUGE old building filled with all kinds of salvage. Old doors, corbels, moldings, fixtures, & hardware...were just some of the cool things you'd find here! We went crazy for the special Red Shed prices the owners put on chippy white corbels and large metal light cages! This was SUCH an AMAZING trip! Thanks to the Red Shed Antiques Girls for planning an incredible getaway for us all! :) Put me on the list for next year!!! You might notice a new look to my blog! I'm going to do a special post and GIVEAWAY on that tomm. (that's why I did 2 posts today!) 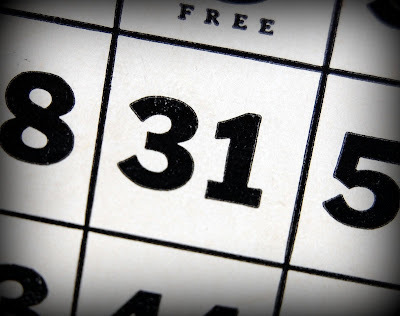 so stay tuned to see what's comin' up! Junk Trip - Day 2 - Junk Bonanza! September Days -- It's Fall!